The destroyer named for a naval aviator who crash-landed to try to save a downed pilot in the Korean War will be commissioned Dec. 1 in Boston. BATH — A Navy destroyer named for a naval aviator who crash-landed his plane to try to save a downed pilot has departed from Bath Iron Works. 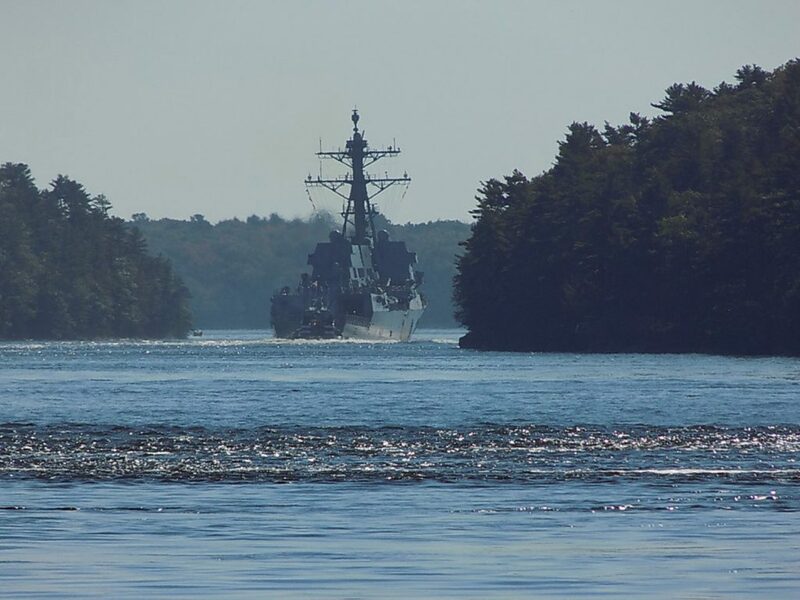 The future USS Thomas Hudner headed down the Kennebec River to open ocean on Wednesday. Hudner, a Korean War veteran who was awarded the Medal of Honor, witnessed the christening of the ship in April 2017 and died months later in his native Massachusetts. The Navy took delivery of the ship in June, and it will be commissioned into the fleet on Dec. 1 in Boston. The ship’s homeport will be Mayport, Florida.